One of a kind dream journal with a unique work of art on the cover. 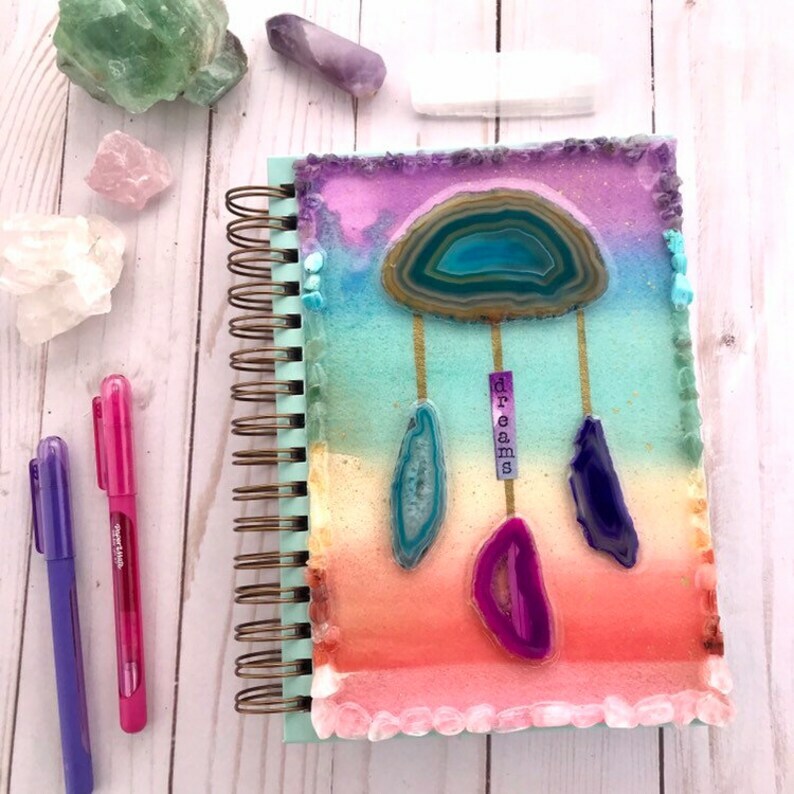 Agate slices, aventurine, turquoise, citrine, carnelian, Rose quartz and amethyst, and water color, hand stamped “dreams” all sealed in resin. Approximately 9 x 7 inches.